Looking for things to do in Turner Falls turned out to be the highlight of my Arbuckle Mountains road trip. Well, fried pies were also a major highlight but Turner Falls was the biggest. Literally. At 77 feet, Turner Falls is often touted as Oklahoma’s largest waterfall. And technically, that’s true (assuming you forget about Natural Falls, which is equally tall – dear Oklahoma guidebooks, show some love). 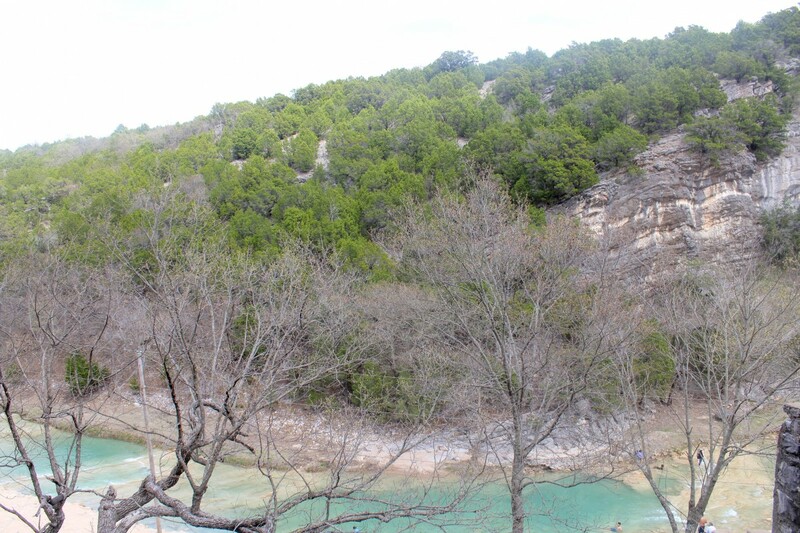 But the park, also titled Turner Falls, is so much more than its signature postcard approved blue water. 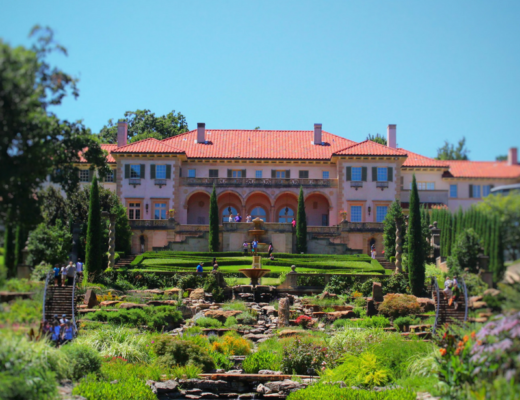 Hidden within its depths are castle ruins and cozy romantic spots (the kinds that make you want to grab a picnic lunch and tune into Pride and Prejudice re-runs). Located roughly three hours from Dallas, Tulsa, and Fort Smith, Turner Falls is one of the most accessible Southern weekend getaways. And as someone who lives in Texas, it’s a true godsend. I don’t know if it’s just me but trying to get out of Texas feels like I’m fighting Thanos when he has all the infinity stones locked on his gauntlet (don’t get me wrong, I love Texas with all my heart but some days…). On that note, I was so happy when I arrived in Turner Falls, I completely (ahem, conveniently) forgot about everything else. I lost my words (gorgeous was still in my dictionary though). I lost all desire to kick off my healthy hiking trip with a salad. My trip to Davis was sheer bliss. In other words, I spent the first three hours of my time gorging on fried pies before hiking. I seriously loved Davis and Turner Falls was no exception. Finding attractions was easy. And when you visit, the park attendants even give you a map highlighting all the popular things to do in Turner Falls. 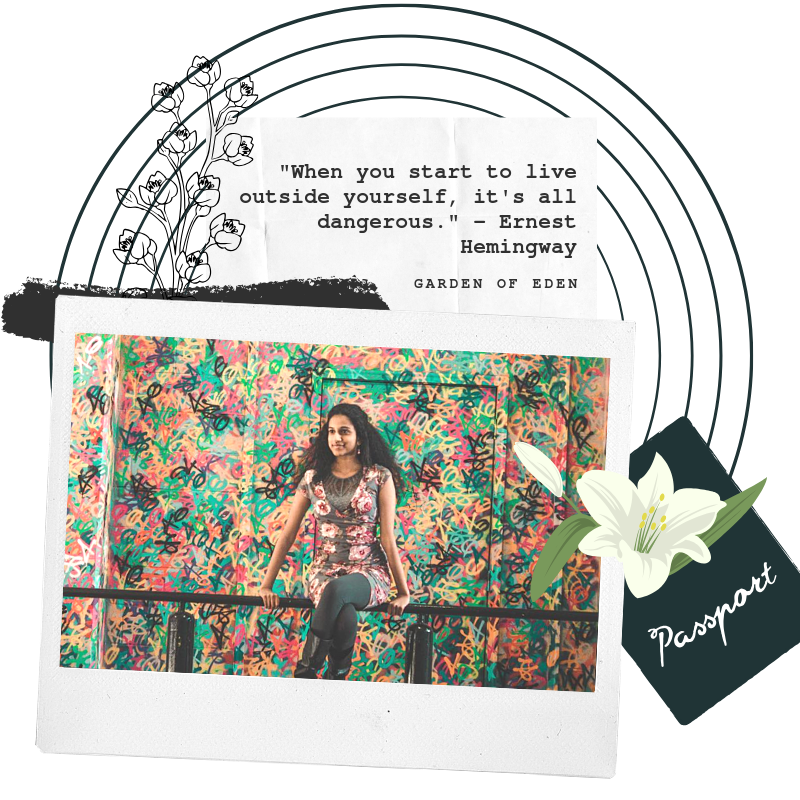 So why am I writing this post again? Well, Turner Falls is so beautiful, it feels wrong not to share it. And to be honest, I don’t talk about Oklahoma enough on the blog (get ready for that to change – wink). 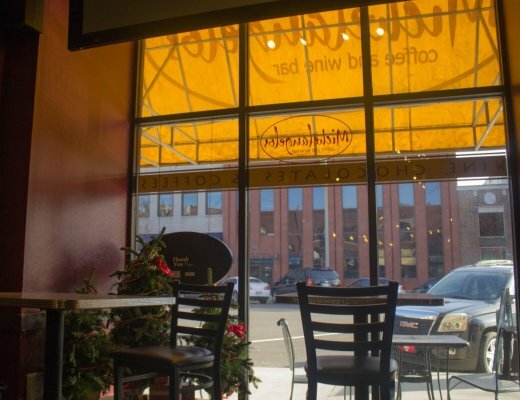 So grab a fried pie (or twenty) and sit down. Today, I’m taking you outside. We’ll be hiking, spelunking, and ziplining. 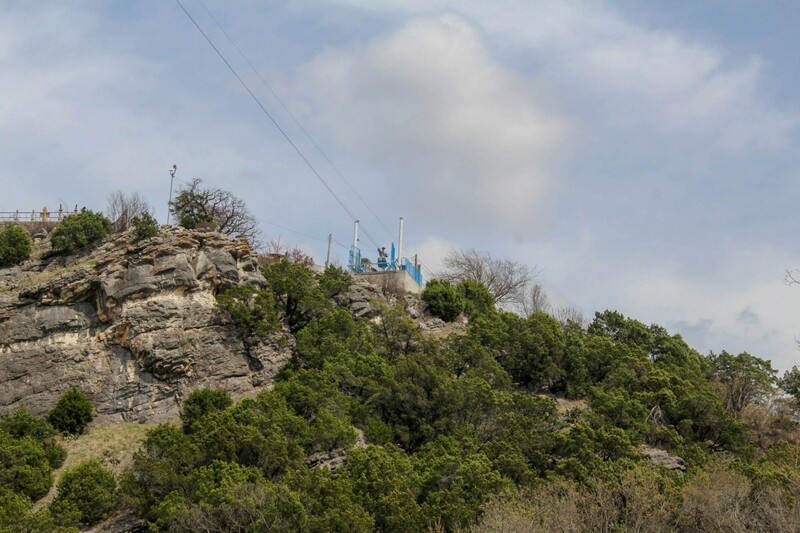 Written from the perspective of a girl who lost her breath climbing stairs at Mount Bonnell, this is one of the most adventurous posts you’ll ever see on the blog (sad, I know). But it’s a long one so bring on a few cups of sweet tea as well. 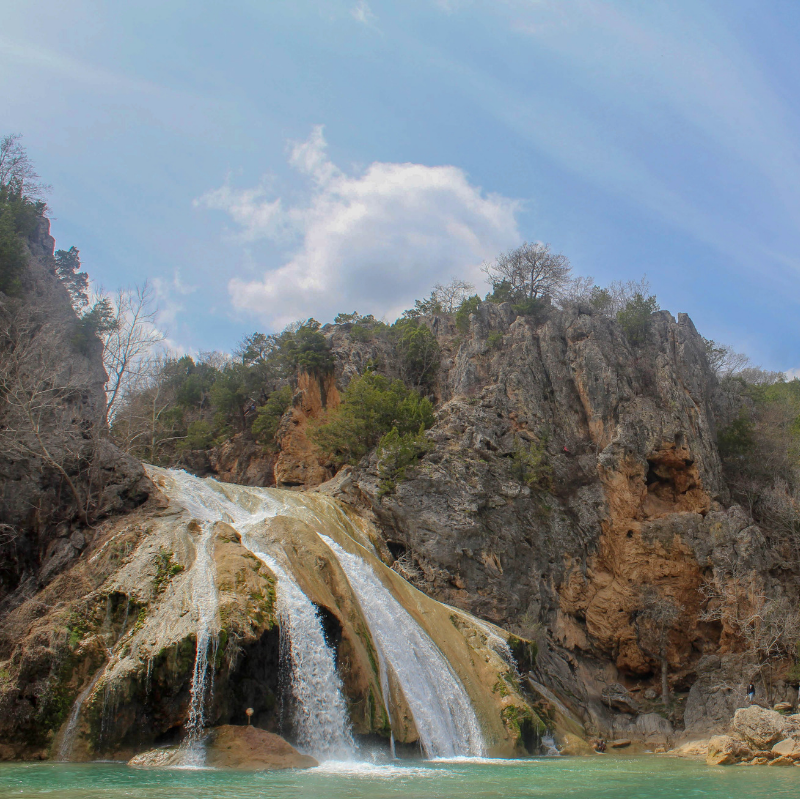 Without further ado, here are the top things to do in Turner Falls. It’s worth popping into the Trading Post, a 7-Eleven gift shop combo, just to see what’s in store. 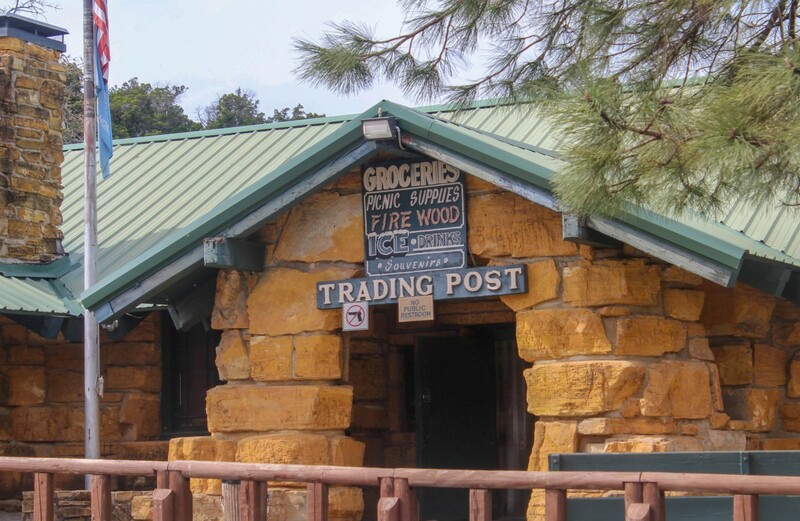 Set in a chunky building, the Trading Post is a great place to stretch your legs and refill your water bottle. Across from the rest stop are a few dining spots, crowded in the summer and closed in the winter. We park outside, check our map, and head in the direction of Turner Falls. As we drive deeper into the Arbuckle Mountains, the first thing we fall in love with is the water. It’s blue, but unlike most rivers in the South, it’s not silver-lined – just a pure clear blue. 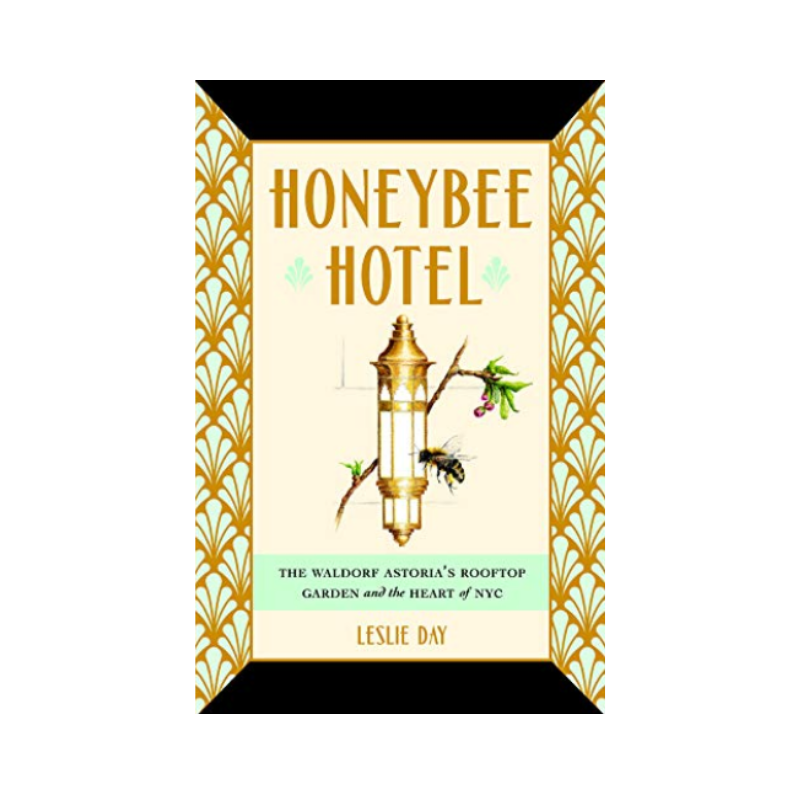 Right now, we’re stepping into Honey Creek. Cold droplets skirt our feet. And as much as I’m tempted to wade inside, I’m not planning on joining the polar bear club anytime soon. But it’s an option and a popular one too (especially in the summer). Dozens of children tread in the deeper end. Several adults lounge by the bank, feet immersed in taffy colored water. I love discovering castles in the United States. 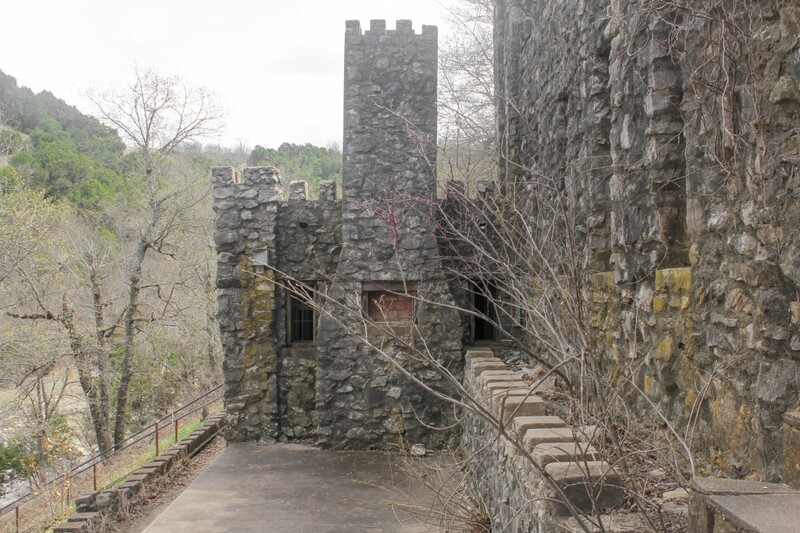 So when I found “The Castle” in Turner Falls, a 1930s Old English style stone mansion planted by Doctor Ellsworth Collins, I was more than excited. Despite being a scared rabbit, I happily skipped up broken-down stairs and hopped around loose paths. I’m not sure. But right now, the prospect of seeing castle ruins trumps my fear of heights (note: I will regret saying this later). And the walk is worth it. Even though the castle is worn and damaged, the views from the citadel are amazing. From the top, we are almost level with the Arbuckle Mountains and the creek below looks like a thin line lazily drawn on green paper. Zip-lining wasn’t high on my list of things to do at Turner Falls until I saw the price. 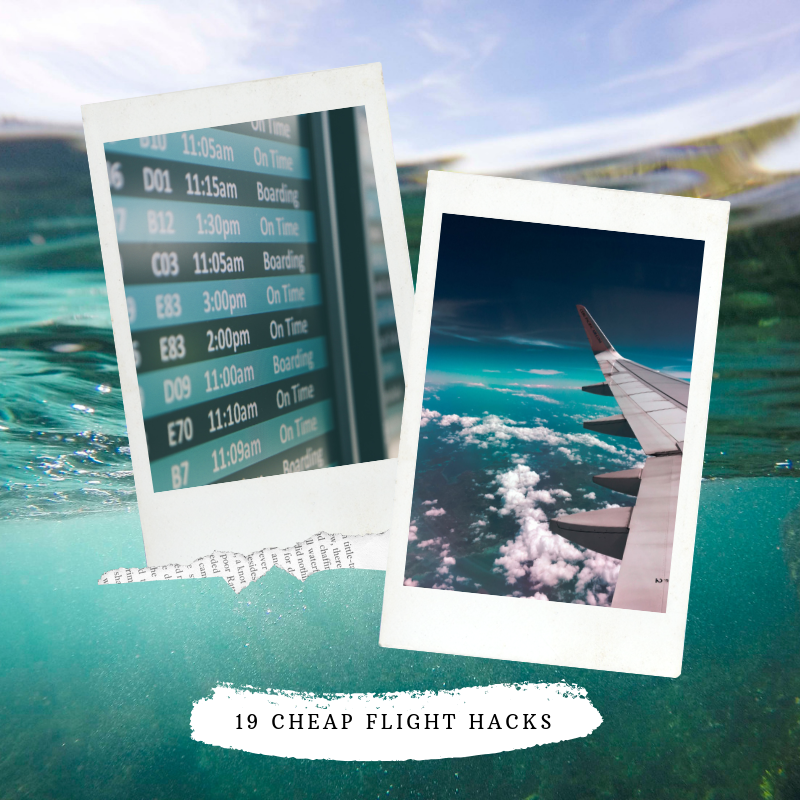 At $15.00 per person ($12.50 if you go in pairs), 777 Zip is newest, grooviest (clearly, I’ve been possessed by some character from That 70s Show) attraction at Turner Falls. If my fear of heights kicked in while we were climbing up to The Castle, it punched me during the zip-line. P.S. There was lots of screaming involved (just kidding, it wasn’t as fast as I expected). 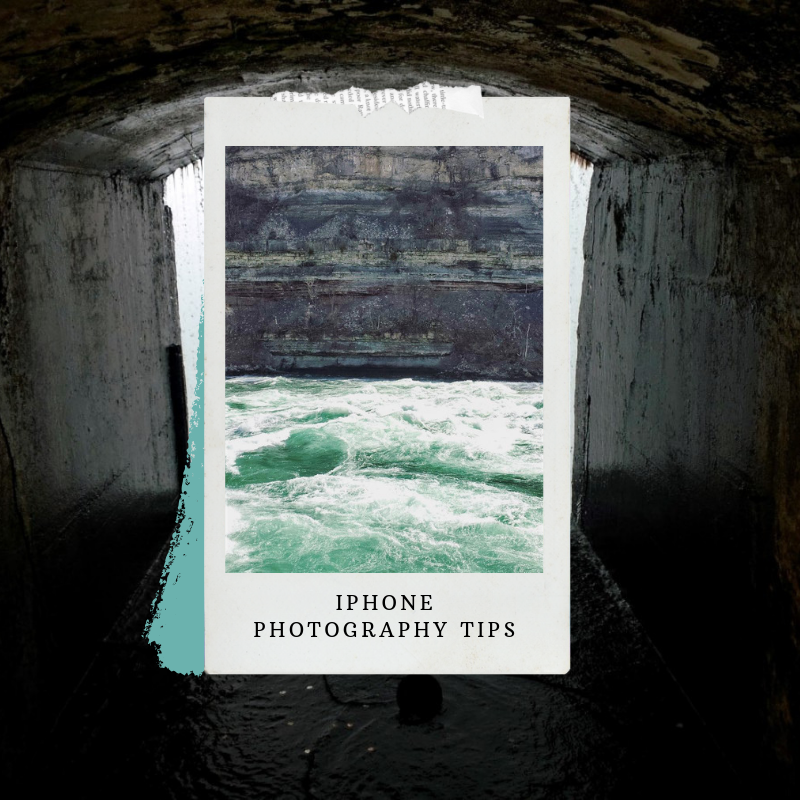 As we edge closer to the waterfall, we notice small caves scattered throughout punctured rock. 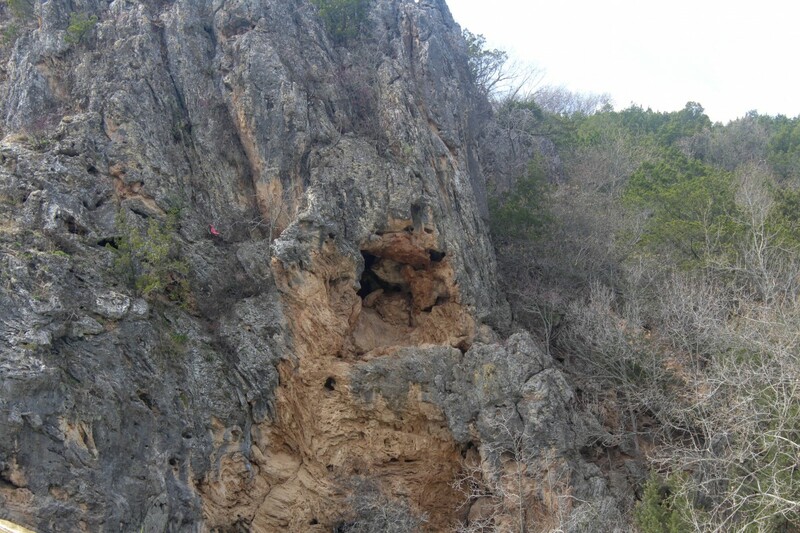 From Crystal Cave to Outlaws Cave, each cave in Turner Falls State Park is unique in shape and form. And all are beautiful. If you’re a beginner, I highly recommend spelunking at Outlaws Cave. 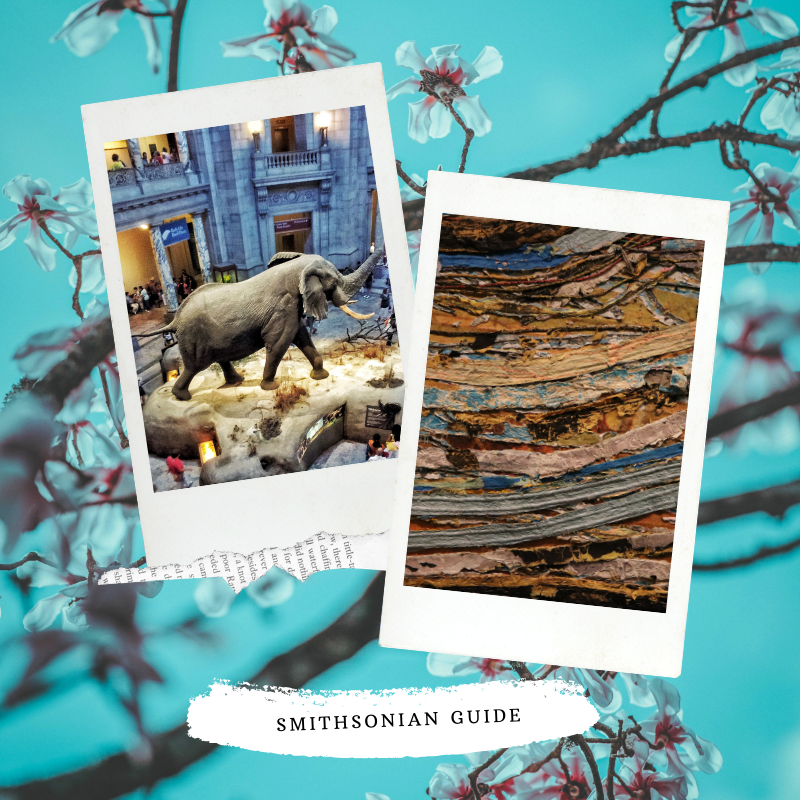 It’s the most well-known, easily accessible, and family-friendly out of all the caves. Of course, Turner Falls is the highlight of the park. We expect nothing less. In the Sooner State, waterfalls of this height are impressive. Right now, my heart is fluttering (and I’m approximately two seconds away from singing I Won’t Say I’m In Love). Onion burgers are classic Oklahoma foods. Fried, juicy, and oh-so-good. 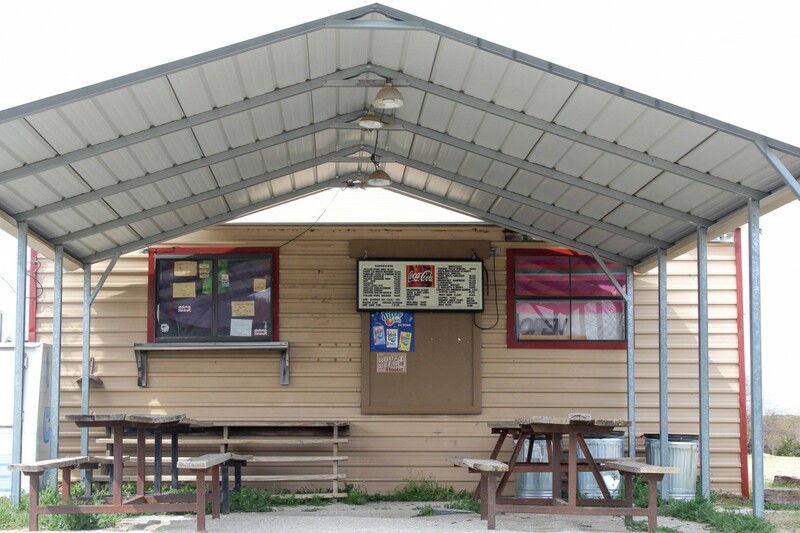 While Davis isn’t necessarily known for onion burgers, there is a burger joint hidden within Turner Falls. My personal mantra? All burgers are good burgers. 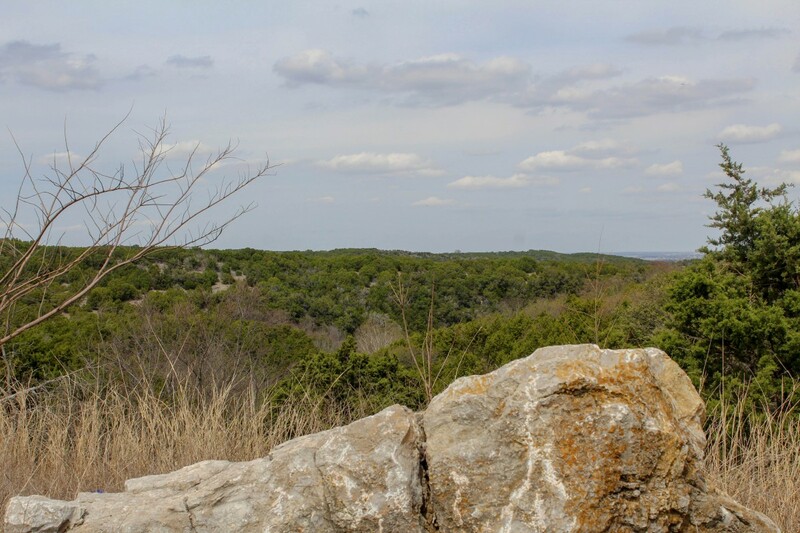 One of the most romantic things to do in Turner Falls is park at an observation point, rest, and take in the views. Pop on some songs. Kick up your feet. And just relax. It’s one of those cliche movie moments that I fell head-over-heels in love with. When I first thought up this list of things to do in Turner Falls, I skipped one of the most popular options: glamping. 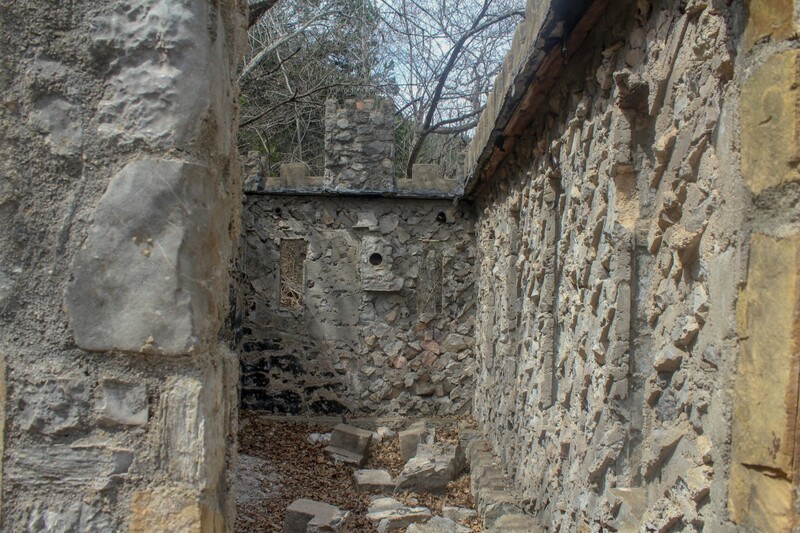 Within Turner Falls are twelve cozy cabins that probably fell from the pages of Goldilocks. Reservations must be made in advance (you can book them here). 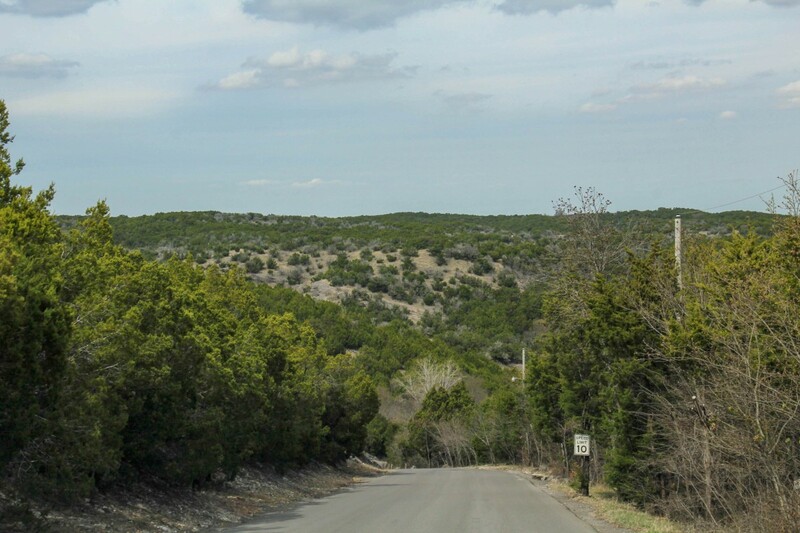 The floor plans are open and roomy and feel like a lap of luxury in the middle of the Arbuckle Mountains. Y’all, I’m ashamed to admit this but I totally missed the observation point on exit. I had every intention of going and then – bam – I missed the turn. But the view – Turner Falls from above – sounds amazing. And even though it slipped away from us this time, we’ll come back. We’ll come back and find more things to do in Turner Falls. 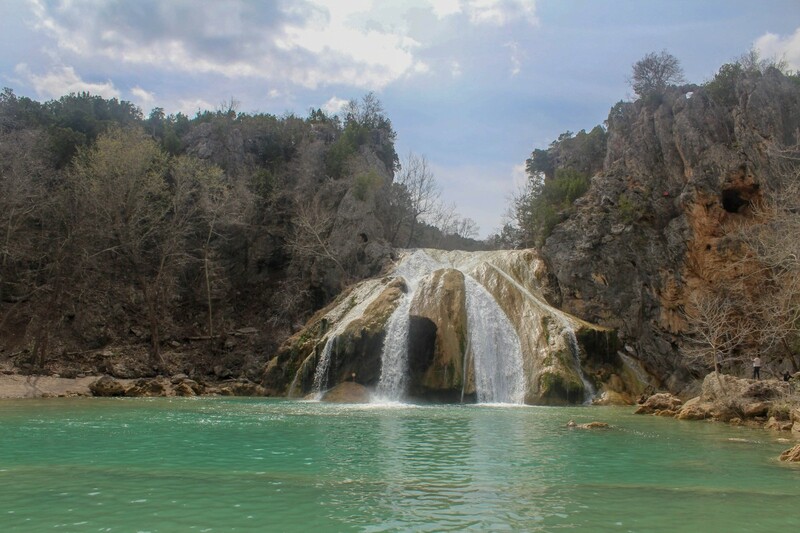 Did you enjoy this list of things to do in Turner Falls? 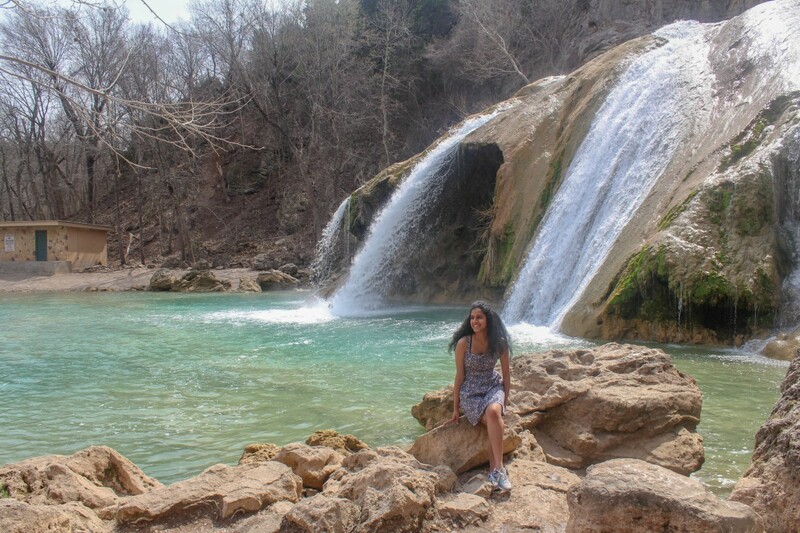 Have you ever been to Turner Falls? Let me know in the comments below! 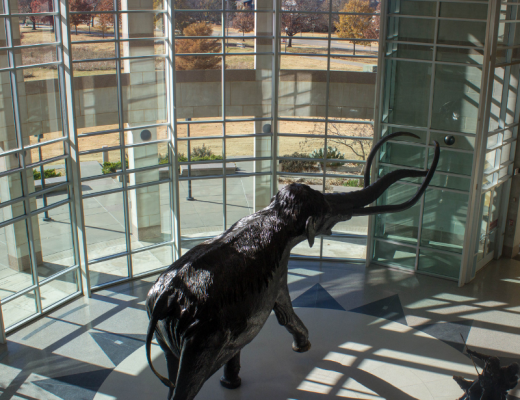 Great article on what one can do in Turner Falls, Oklahoma. From visiting the castle, zip-lining along the falls and dining, this is an exciting place in the USA.